We are engaged in manufacturing and supplying superior quality range of Box Column Drill Machine Series KBC-540 (Auto Feed). The machine is highly treasured by our clients for easy operation, optimum performance and longer service life. Further, we offer this range at most affordable rate with precision Workmanship. 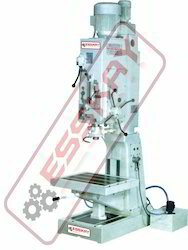 Looking for Box Column Drill Machine ?